How? It begins with a simple distinction most people miss – one I didn’t understand until a few months ago. People don’t want to simply give money because you asked them. They want to experience what they believe their money can help achieve. Schools, hospitals, refugee centres, churches, educations, medicines often enter the picture. Perhaps building the first ever organisation that helps young people learn contemplative prayer in a world bombarded with extracurricular activities? For you, raising £1,000,000 in your organisation’s account isn’t the fantasy. And for the person giving, the fantasy isn’t “here is my money”, the end, “I don’t ever want to hear from you”. The fantasy for both of you is the ability to transform people’s lives along with the complete freedom to do so. The question is then, how can we achieve the impact that without first having all that money? In the last three years, I have answered this question for myself, and this book will answer it for you. 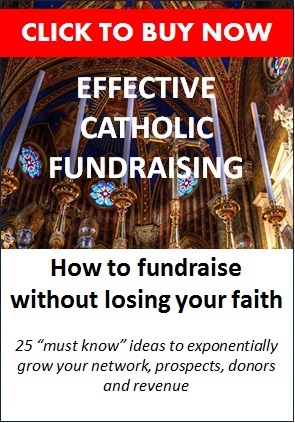 I will show you exactly how I have reconnected funds with mission, thereby creating for me an ideal way to fundraise the funds necessary to achieve my goals and live my faith out completely. How on earth did I go from constantly asking people for money while losing hope that this was right to reaching the ability to connect with people while raising both the funds and keeping everyone’s faith? It helps to know where it all started.